Having a felony conviction on your record can weigh you down mentally and prevent you from obtaining employment and securing a place to live. Today more private employers and lanlords conduct criminal background checks then ever before, and it is essential that you do everything possible to give yourself the best possible chance to succeed in your life. Fortunately, there is a process in California under Penal Code 1203.4 that allows us to file a petition with the court on your behalf to have your felony conviction expunged. This petition, once granted by the court, will set aside and dismiss your original conviction, allowing you to apply for jobs and apartments with confidence. Once the felony record has been expunged you will be able to answer legally and honestly that you have never been convicted of a felony. Imagine what that could do for your life. Our law firm specializes in California felony expungements under Penal Code 1203.4, which allows us to offer our expert legal services at an affordable fixed price. 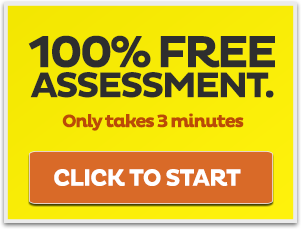 We are so confident that we can help you, we offer a 100% money back guarantee on our felony expungement service. Why wait? Don't let your felony conviction hold you back any further in life. Get your "Fresh Start" today! No two felony cases are exactly the same. It is critical that you hire an attorney that fully understands the felony record clearing laws in California. Other law firms just fill out simple court forms and never take the time to understand the unique details of your case and your life. Our uniquely tailored approach allows us to craft the most persuasive arguments possible for the court, giving us the best shot at a successful outcome in your felony expungement case. This tailored approach has allowed us to win over 98% of our felony expungement cases overall, when no probation violations are present, in the state of California. Why would you settle for anything less? Since 2010 we have successfully won thousands of criminal expungement cases for our clients in the state of California, and we take great pride in providing top notch customer service throughout the felony expungement process. We have an A+ rating with the BBB, and we have helped thousands of happy clients expunge their felony convictions from their record (Yelp - 5 Stars, TrustPilot - 5 Stars, TrustLink - 5 Stars). Beware of any law firm that has hidden fees on their felony expungement service (example: processing fees, filing fees, hearing fees, etc.). You should know exactly what you are paying up front for your felony expungement service, without having to call to find out pricing. We are one of the only California criminal expungement law firms that offers fixed low pricing for felony expungement, meaning everything is included in our pricing. There will never be any hidden fees, games or suprises down the road with us. Our single low price covers everything from start to finish, period. NO HIDDEN FEES ever. The thing about hidden fees is that they seem to just keep popping up. You may have had a hard time getting a hold of your past attorney, or found it nearly impossible to get updates on your case. We are different. We understand your desire to know what is going on with your case, and we make open communication a cornerstone to our California felony expungement service. We will keep you updated with all the important events that transpire throughout the felony expungement process. You can also always contact us by phone or email, as we strive to return any inquiries you submit within 24 hours. Furthermore, once you become a client you will be provided with unique login credentials and you can access your personal online account on our website, which always has the most up-to-date status, from the comfort of your home, 24 hours a day. All criminal databases used for employment background checks, both private and public, will update automatically within 30 days after your felony expungement is complete. You should never pay a company, or a law firm, for any service that claims to "expedite" this updating process. Learn the truth, protect yourself here. If your felony qualifies for felony reduction to a misdemeanor under California Penal Code 17(b), we will file a petition for a reduction at the same time we file the PC 1203.4 petition for expungement for only an additional $99! See a list of California felony "wobbler" offenses. We specialize in getting tough felony cases reduced to a misdemeanor for our clients. You can also learn more about felony reduction by visiting our felony reduction page. We are able to expedite our felony expungement service in most counties, taking the average processing time from 6-12 weeks down to just 18-30 days for those that need to put their past behind them in a hurry. 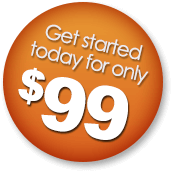 This expedited service, when available, is only an extra $399. Please call us if interested in this service to find out if the service is available in the county where your conviction took place. If you have multiple criminal cases that you would like to expunge, please contact us for a free consultation. We will assess your situation, discuss your options and provide you with discounted pricing (our pricing goes down with each additional case we handle for you). Please call us toll-free at (800) 916-1228. If you have a felony conviction in California you are in luck, as California has one of the best expungement laws in the country. California Penal Code 1203.4 allows a person with a felony conviction to petition the court to have them re-open the case, set aside the conviction and dismiss the case. Moving forward you will no longer be considered convicted of the felony by the state of California, and your criminal record will be permanently changed to display a dismissal rather than a felony conviction. Subsequently, once the conviction is expunged by the court you can truthfully tell employers, your family, and all other interested parties that you have not previously been convicted of a felony. This gives you the upper hand in a competitive job market where more than 80% of potential employers conduct backgrounds checks today. 1You were charged and convicted in state court, NOT federal court. There is no expungement for federal cases. NOTE: If you are unsure, 99% of criminal cases occur in state court, and consequently your case likely occurred in state court. 2Your sentence did not involve going to state prison. County jail and holding cells are NOT state prison. If you sentenced involved going to state prison then you may be eligible for our Certificate of Rehabilitation service. 3You have successfully completed your probationary term. If you are still on probation check out our early termination of probation service. 4You must have satisfied all the requirements of your sentence (fines, restitution, mandatory programs, community service, classes, etc.). 5You are not currently charged with another criminal offense, on probation for another criminal offense, or serving a sentence for another criminal offense. An experienced attorney will handle your felony expungement case from beginning to end. We are dedicated to getting your felony conviction dismissed in the quickest time frame possible, allowing you to forget your past and to move into a more positive future. The average case, once filed with the court, typically takes 6 - 12 weeks to complete, depending on the courts and how backed up they are at the time of filing. In almost all cases you will not be required to appear at any court hearings, as we will appear on your behalf, and argue the merits of your case. Our focus and expertise in California felony expungement law allows us to offer our services at the absolute lowest fixed prices, meaning there will never be any surprises with the costs down the road. See the chart below for everything that is included in our low fixed fee. We specialize in California felony expungement laws, and this vast experience allows us to provide our clients with an affordable, fixed price, California felony expungement service. 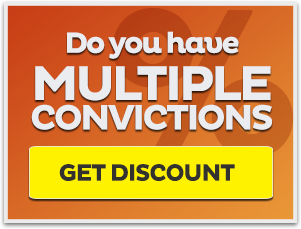 There is no reason to let your felony conviction hold you back in life anymore! 1Removes the conviction from your criminal record. 2In almost all situations an employer cannot ask about a felony conviction that has been dismissed under Penal Code 1203.4, nor can a felony conviction that was dismissed be considered for employment purposes. 4Your expunged felony conviction will not show up on most employer background checks. 5You can truthfully, and legally, answer "NO" on job applications when asked if you have ever been convicted of felony. 6You can greatly increase your earning capacity by becoming eligible for more employment opportunities. 7You can become eligible for many types of professional licenses and certificates. 8Reducing a "wobbler" felony to a misdemeanor can restore certain rights, such as your 2nd Amendment right to own a gun. 9You can become eligible for student loans. 10You can become eligible for housing assistance. 11You can tell friends and family that you have not been convicted of a felony. 12You have the satisfaction of forgetting the past for good and moving forward into a more positive future. 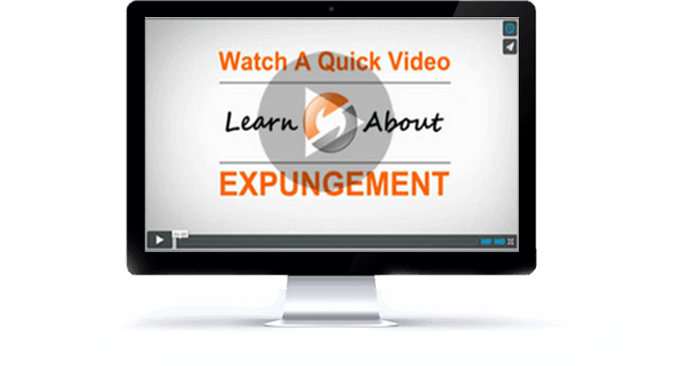 Chances Your Felony Will Be Expunged? Hiring an experienced expungement attorney is essential to the success of your felony expungement. Felony expungment law can be complex and it is critical that all the necessary documents get filed with the court and that all the required steps are followed in a timely manner. The good news is that we win over 96% of our felony expungement cases. The percentage rises to 99% if you had no probation violations, or new violations of law while on probation. Thus, if you decide to hire us to handle your felony expungement, you can rest assured that you are in good hands. It should also be noted that felony expungments in California often require a hearing in front of the judge, wherein your case must be argued. If a hearing is required we attend the hearing and argue on your behalf. 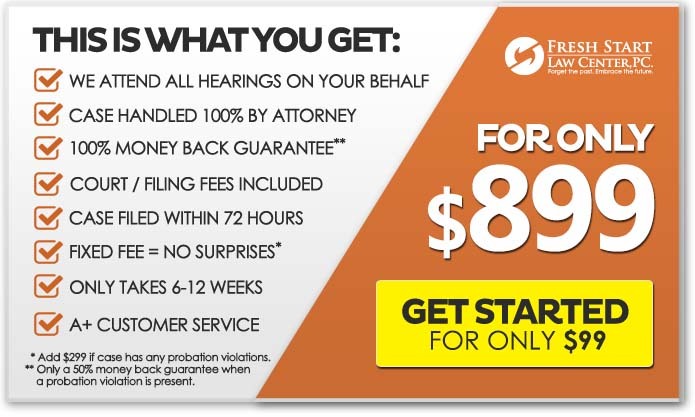 In 99% of cases you will not be required to attend the hearing with us. From the day you hire us to handle your felony expungement case, until the day your case is resolved, we will be there for you every step of the way. Because we focus on expungment law in California we are able to provide expert felony expungement services at the absolute lowest fixed prices. We also offer a 100% money back guarantee on our felony expungement service, meaning if we don't get your felony expunged, you don't pay us! Below is a list of the services we provide as compared to some non-attorney sites out there. 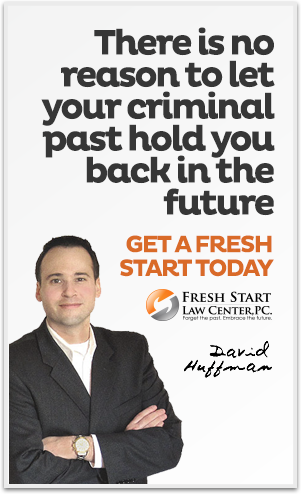 The sooner you get started on your felony record clearing case, the sooner you can forget the past and embrace the future. We will start on your case immediately, applying our expertise to the unique details of your case. We offer the lowest fixed price for California felony expungement anywhere (we guarantee our low prices), and have a 100% money back guarantee, meaning if we can't get your felony expunged you don't pay us. Thank you for taking the time to consider our California felony expungment service. We truly look forward to helping you in any way we can.